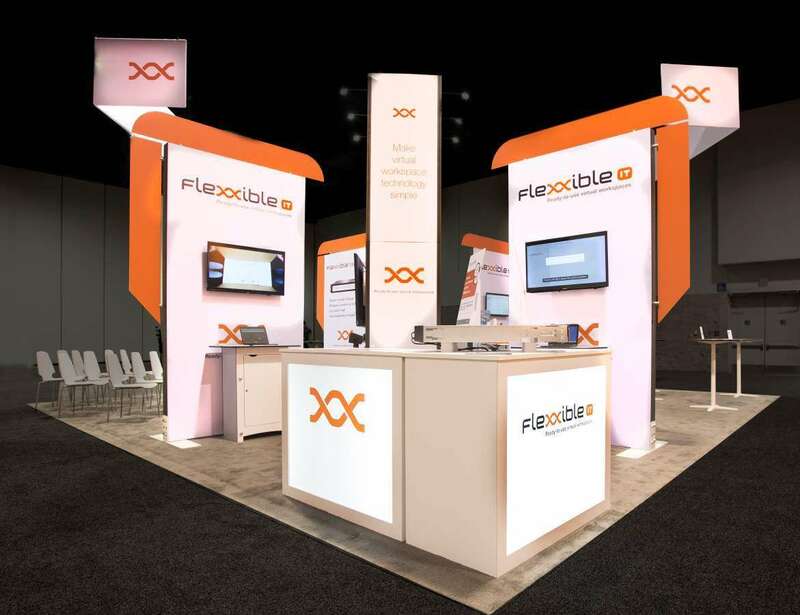 See how Exponents helped Pico Interactive shine at the CES Show, Las Vegas. Pico Interactive develops innovative Virtual Reality (VR) solutions that are used by both individuals and enterprises looking for quality VR and Interactive CGI experiences. They offer several lines of stand-alone VR headsets and their Digital Store features a wide range of apps, games, and videos for their customers to use. 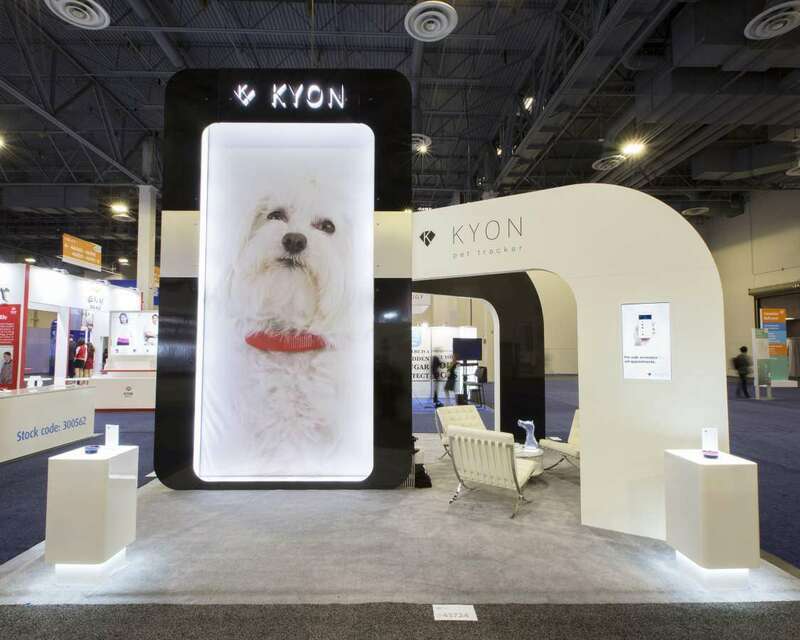 Pico Interactive tasked Exponents with designing and manufacturing an exhibit for the most important industry event of the year, Consumer Electronics Show (CES). 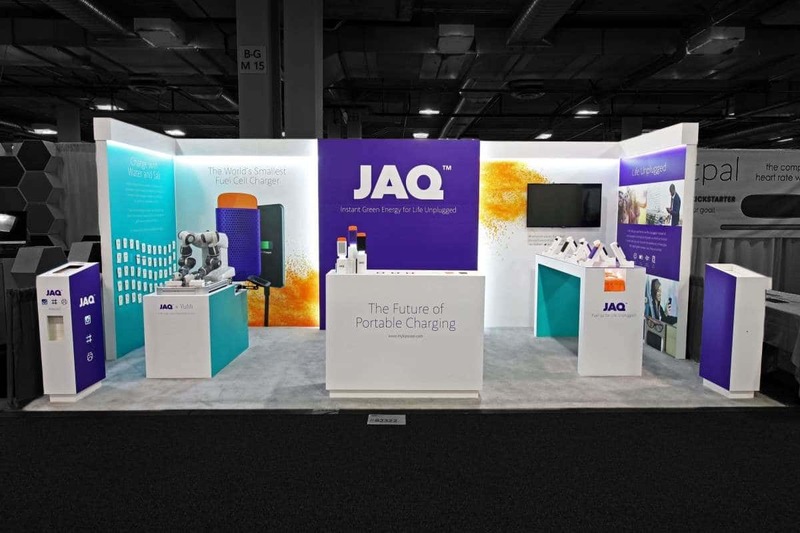 More than 188,000 industry professionals, including more than 63,000 from outside of the U.S., joined together in Las Vegas to both showcase and discover the latest and greatest electronics from the ever-evolving global technology industry. 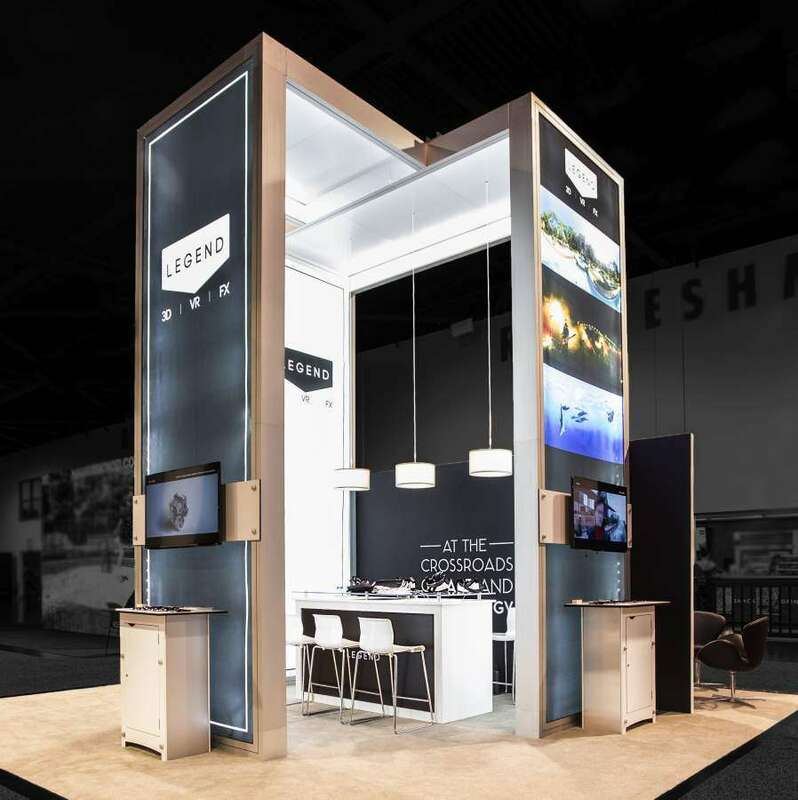 We welcomed the challenge of designing an exhibit that would stand out amongst more than 4,500 of the biggest tech companies worldwide. 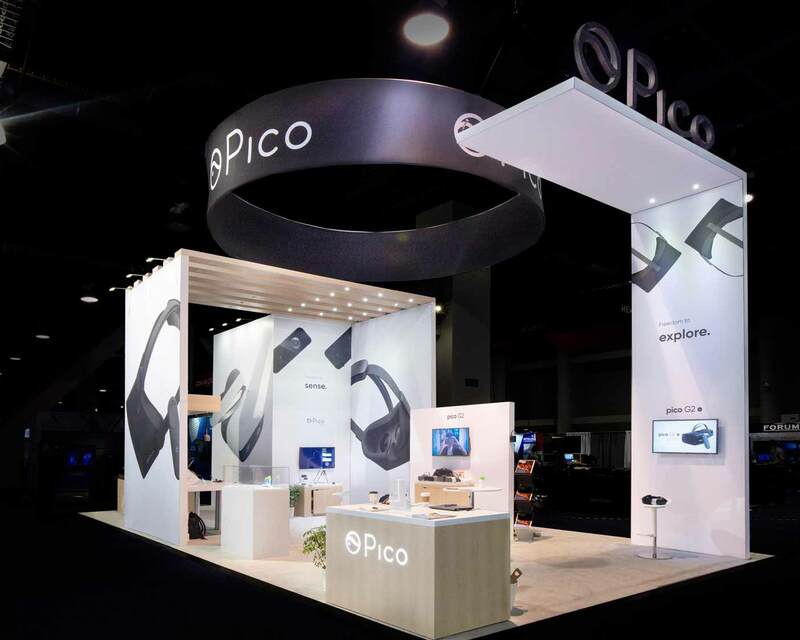 Pico Interactive would be unveiling their latest stand-alone headset at the event, which meant everything from branding to space utilization would need to be perfect. 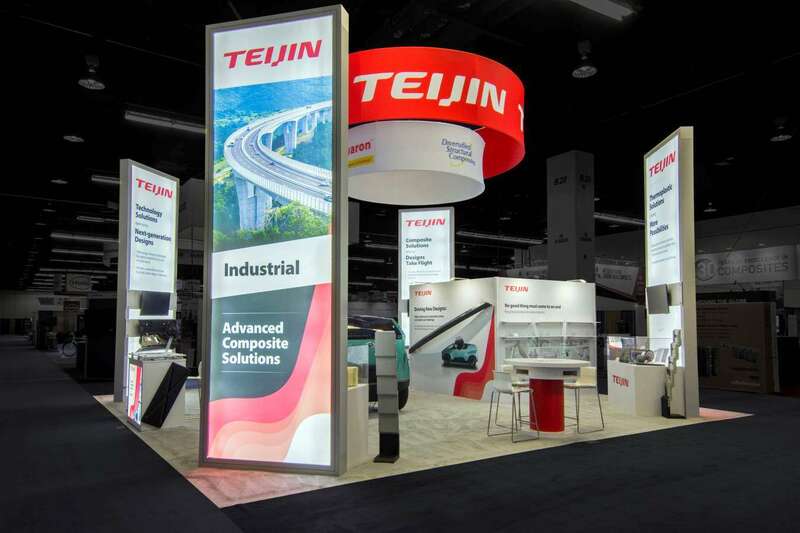 To add to the challenge, the perfect stage for their latest products and demos would need to encompass an 800 sq. ft. allocation of space. 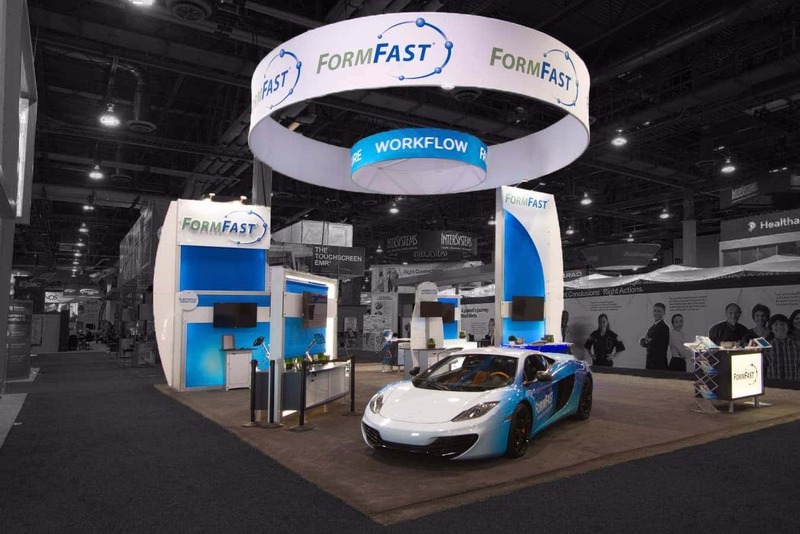 Exponents’ Design and Project Management team worked closely with Pico Interactive to finalize a clean-cut design that allowed for ample visitors and large demo stations that would showcase new and improved products. 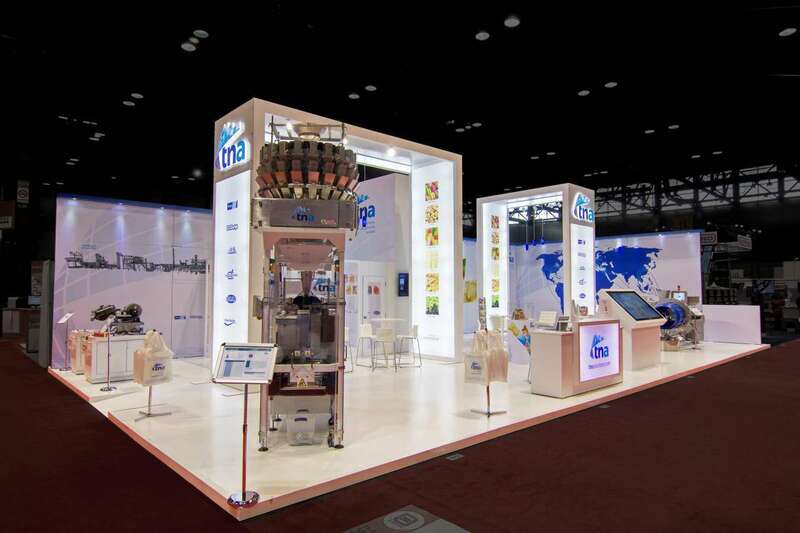 The clean and bright design of Pico’s graphics-aided in the sleek look of every structure and accessory in the exhibit space. 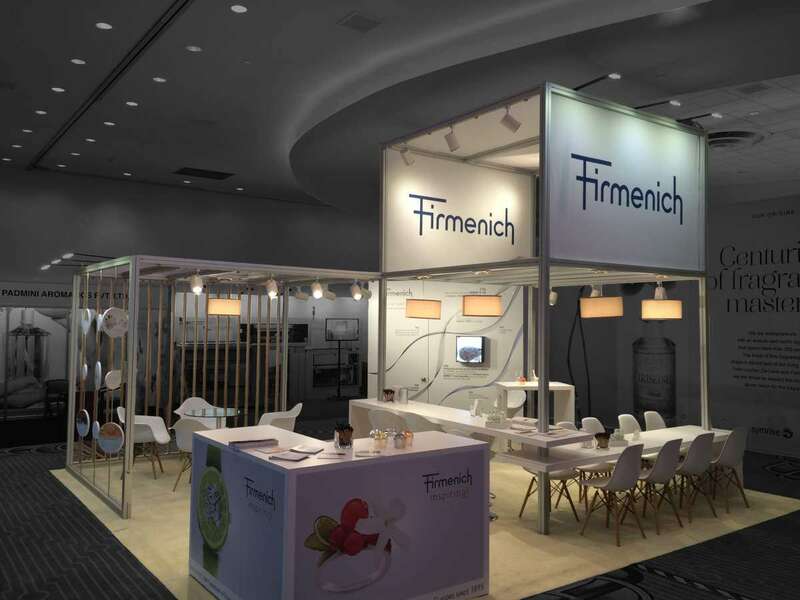 The favorite element for many were the custom wooden canopies with built-in lighting, which soared over booth attendees and offered an airy and open vibe. 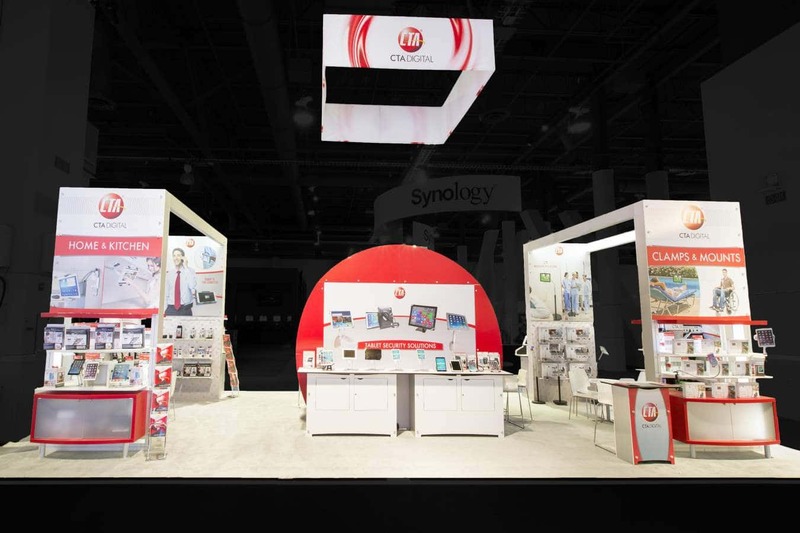 This addition was imperative as CES is a heavily-trafficked show and Pico Interactive wanted to ensure their visitors did not feel crowded. 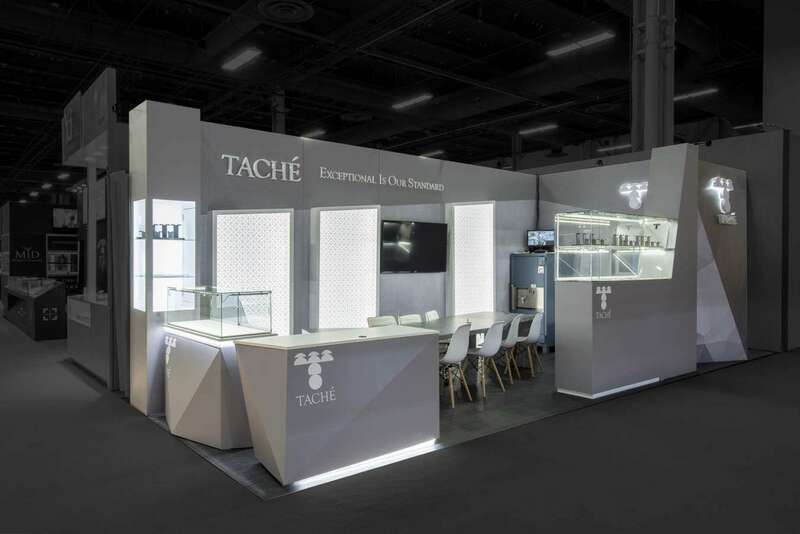 Additional custom elements such as the product counters with LED-lit logos and backlit surfaces were included as a clever solution for eye-catching displays. From the choice of the circular hanging structure to the modern floating lamp boxes, no component was left to be ordinary and untouched. Each piece fit into the overall theme motivated by the idea that simplicity is the ultimate form of sophistication. Inspired by the clean branding and logo designed by Pico Interactive, sophistication through thoughtful and simple design is exactly what we delivered. 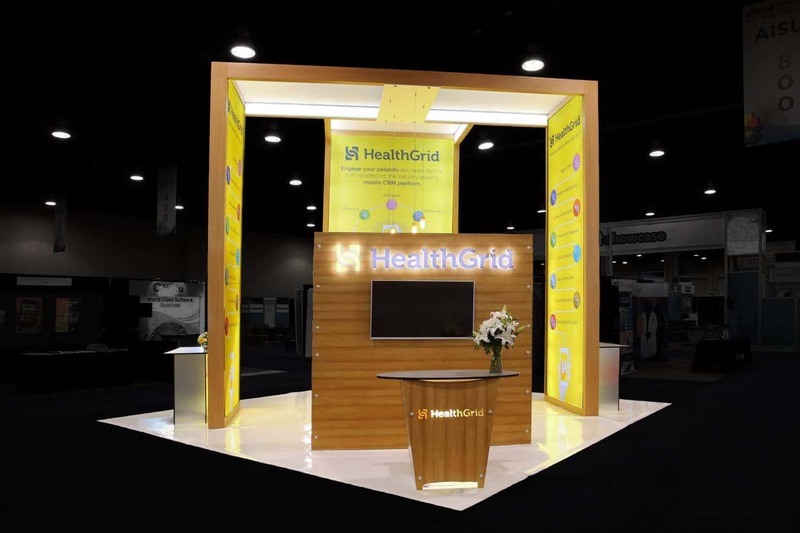 With the aid of the exhibit design, booth attendance never faltered throughout the event and Pico Interactive’s VR products stole the spotlight. The stand-alone headsets were reviewed and voted as one of the best products at the show, according to CRN magazine. 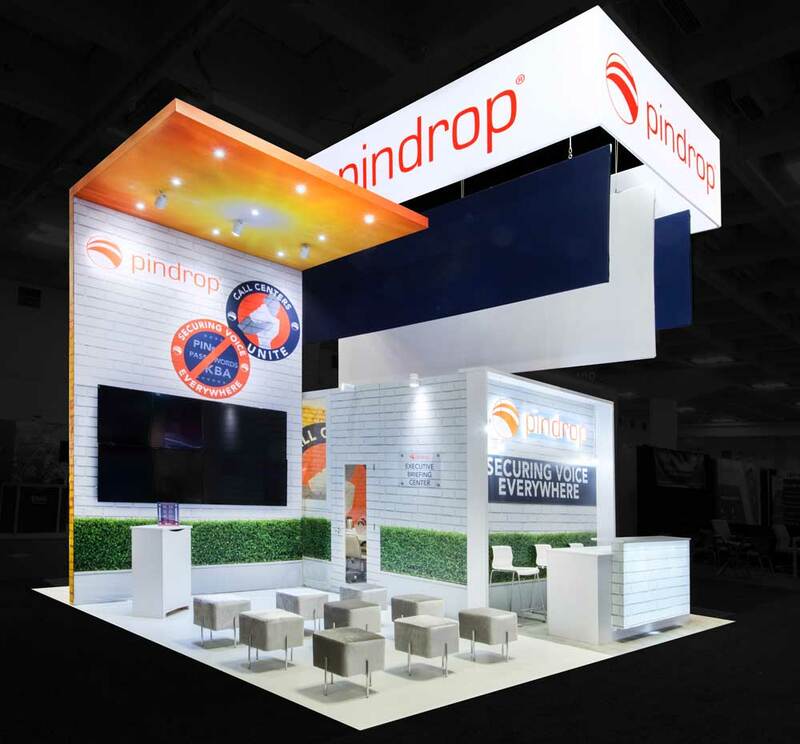 As Pico Interactive was a returning client, we wanted to ensure we produced a unique exhibit and overall stress-free event production experience. 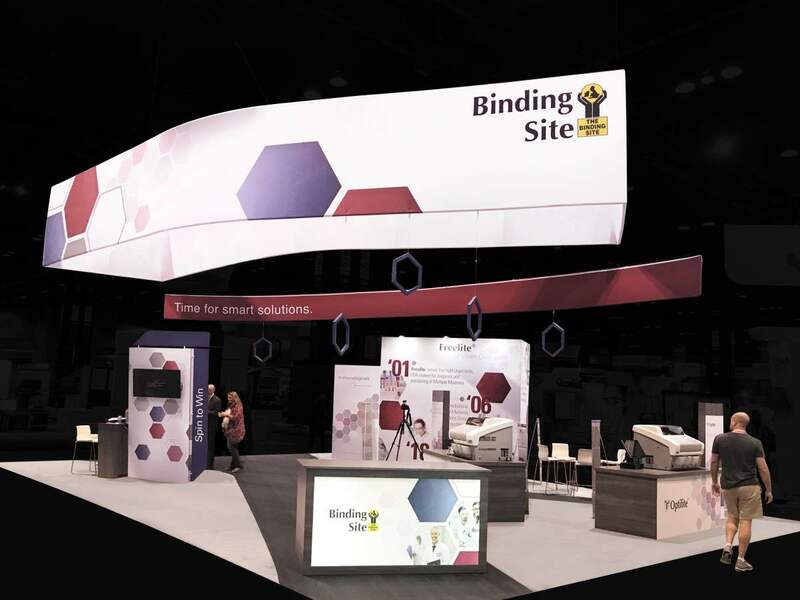 In addition to design services, we made sure to provide quality on-site supervision and customer service before and during the event opening so that our client could focus on networking with visitors. 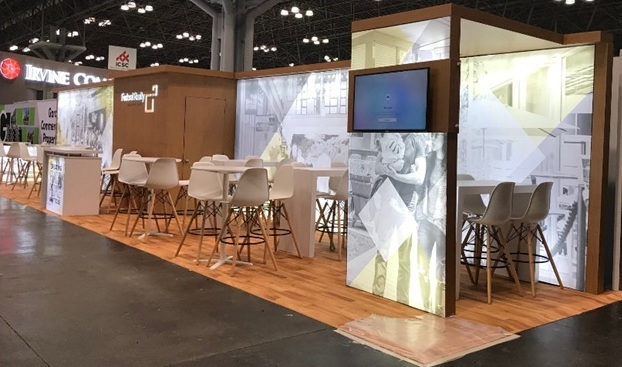 While we felt that we exceeded expectations, an early commitment from Pico Interactive to continue to use Exponents as their design house for future 2019 events was a great sign of success for both parties.